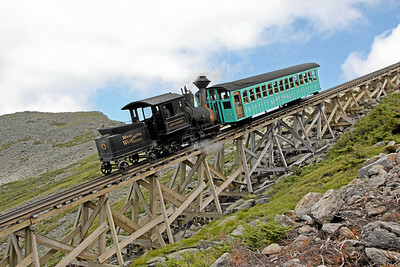 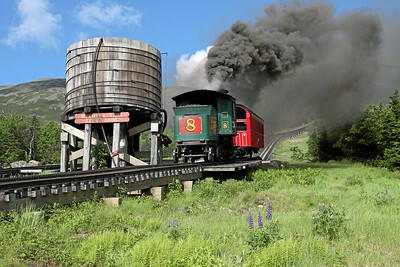 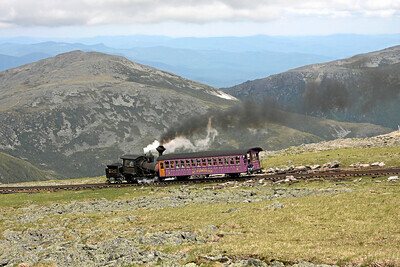 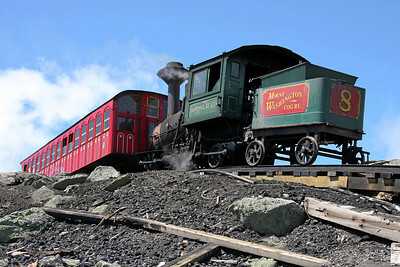 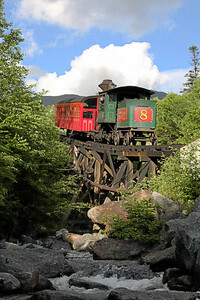 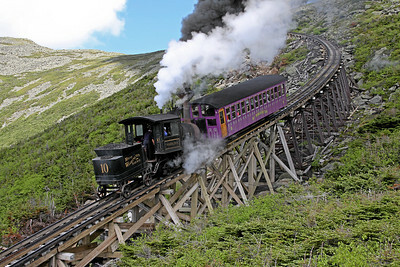 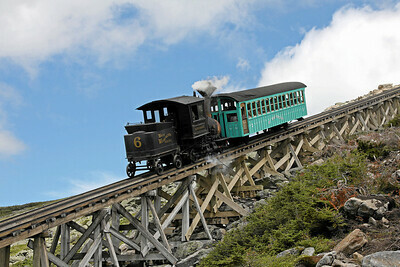 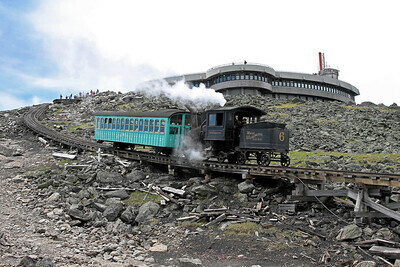 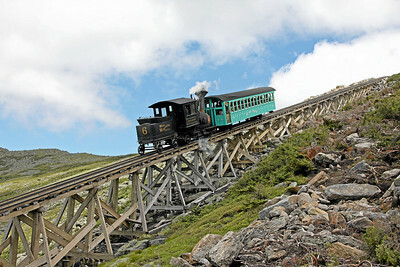 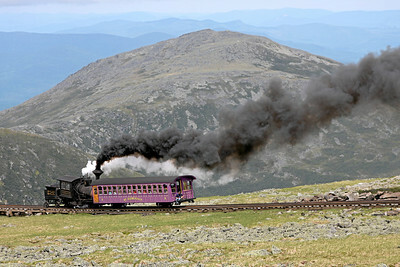 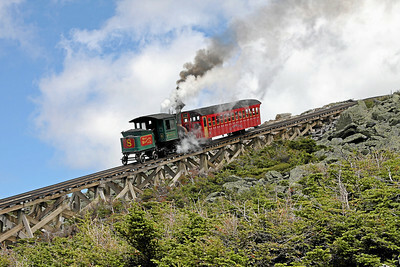 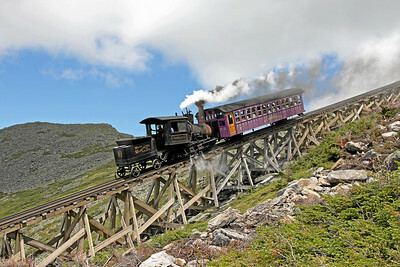 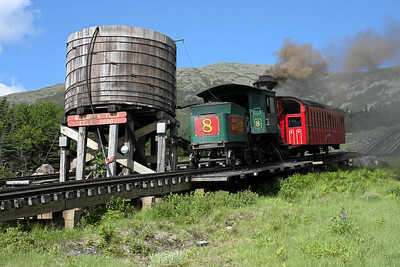 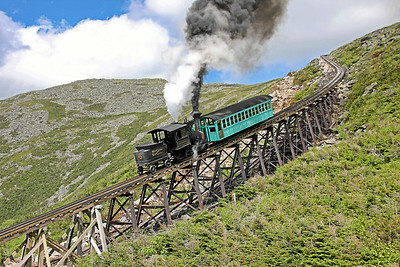 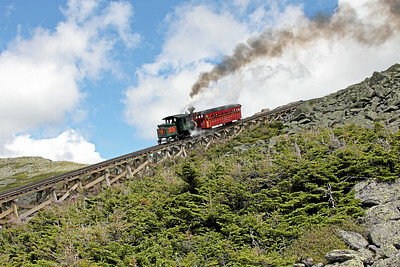 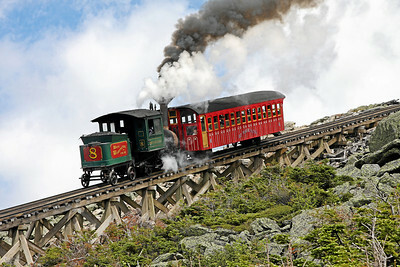 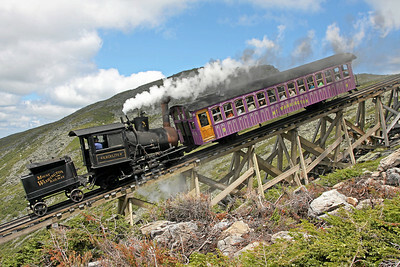 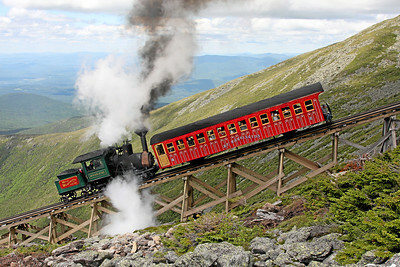 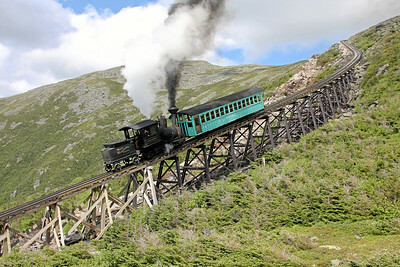 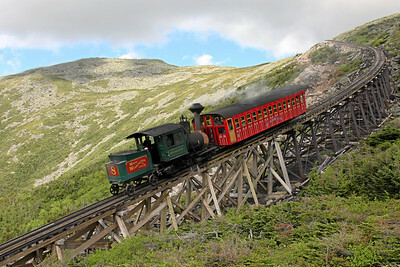 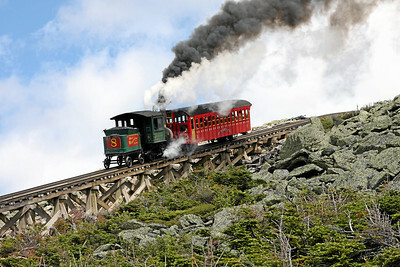 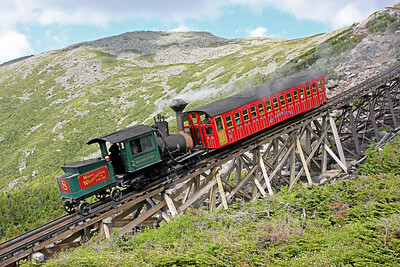 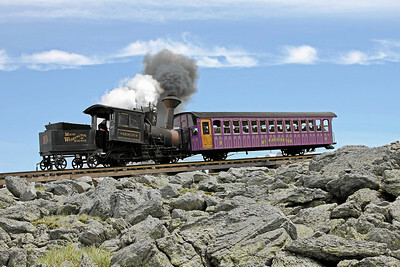 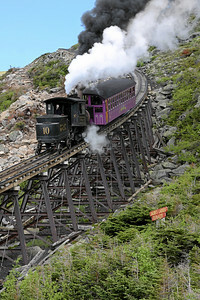 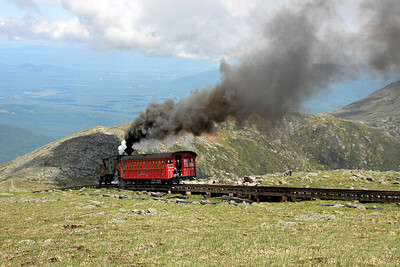 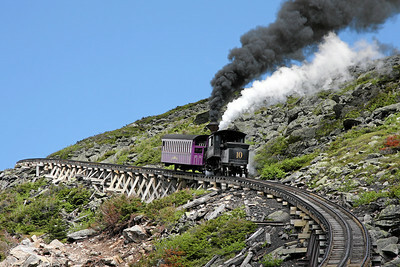 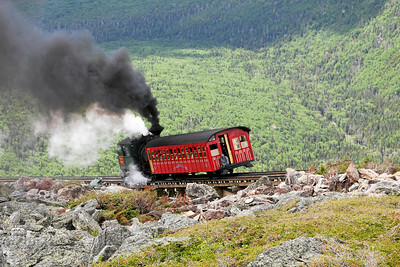 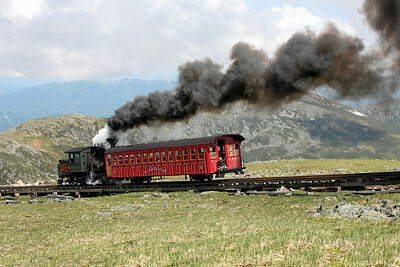 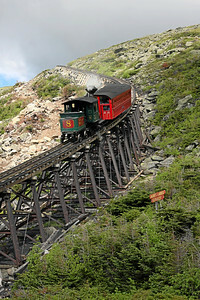 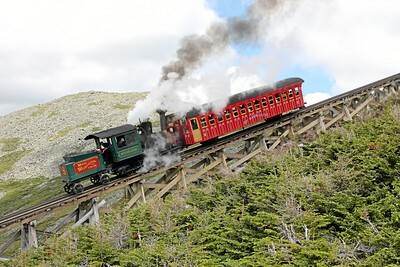 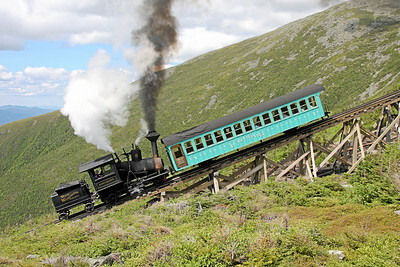 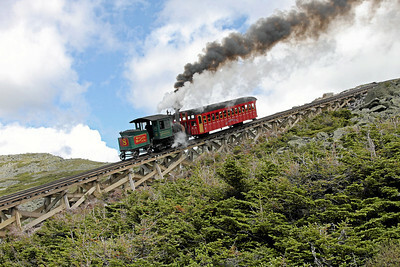 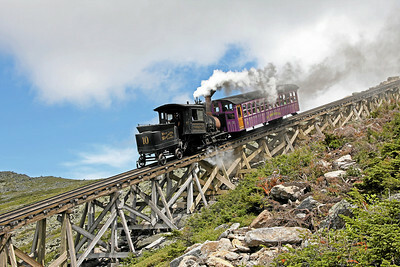 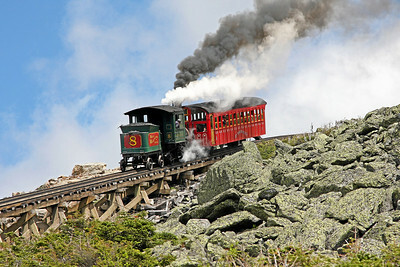 Photos from June 2008 at the world's first mountain-climbing cog railway, opened in 1869. 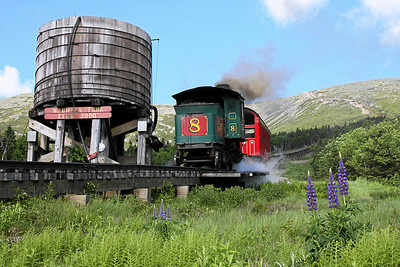 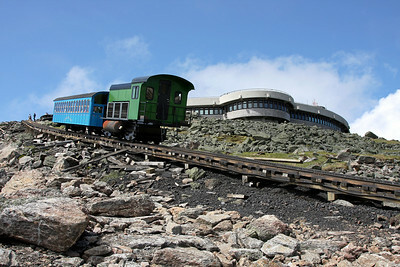 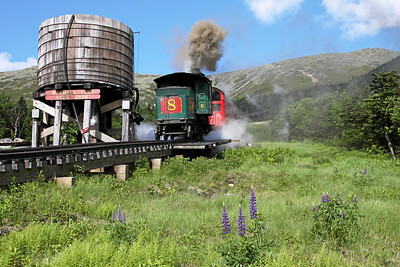 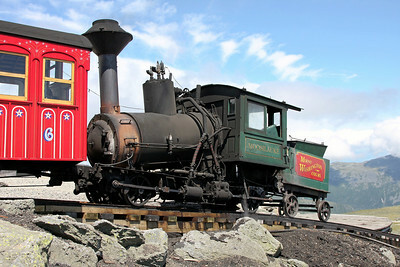 The 3.1-mile railroad climbs from Marshfield Base Station (elevation 2700') to the summit of Mt. 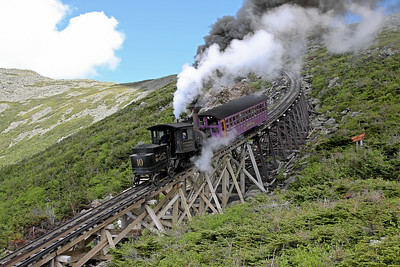 Washington (6288') with an average grade of 25% and max grade of 37.4% (Jacob's Ladder). 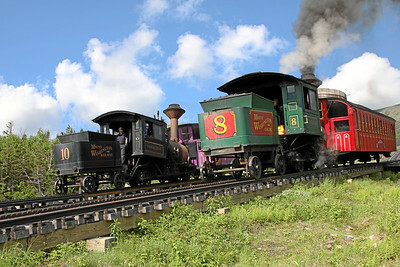 As of 2008, the Cog operated seven steam locomotives, the oldest dating to 1874, with up to six at a time fired up on weekends. 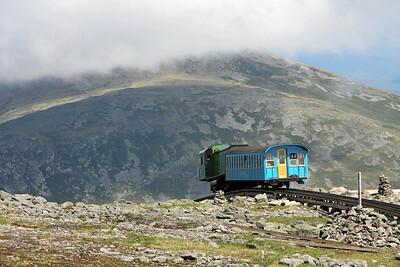 The first diesel was introduced in 2008 to reduce costs and pollution, and by 2010 three more diesels had relegated steam to a single morning run. 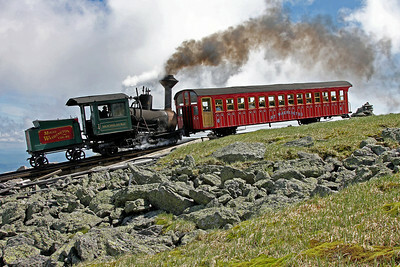 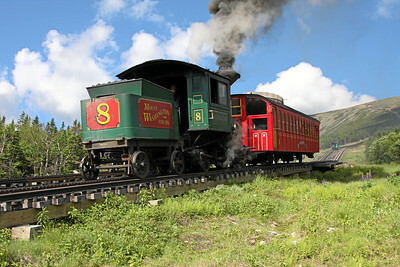 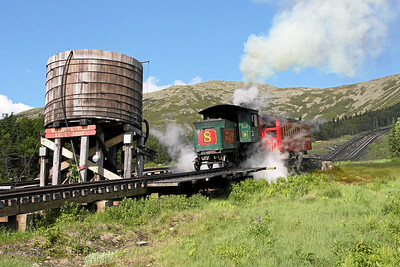 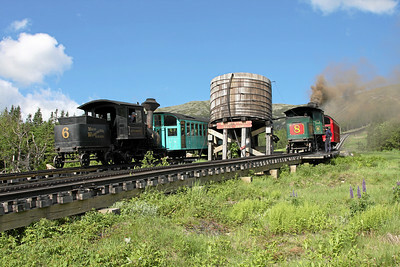 For more, visit the Cog Railway Website.